The US only carried out only 50 simulated tests between 2012 and 2017, which comes out to about 10 a year according to the Lawrence Livermore National Laboratory. These types of tests are typically carried out using high-powered gas guns which fire projectiles at weapons-grade materials in laboratories. Over the past three years, Chinese nuclear scientists have performed more such tests than their American counterparts have in 15 years. On the other hand, China’s live tests were outpaced by the US. The US has detonated more than 1,000 nuclear warheads since 1945 when a nuclear bomb was set off for the first time as part of the Manhattan Project. In contrast, China has carried out only 45 live tests starting from 1964. “It is possible we are in a hurry to catch up,” according to Professor Wang Chuanbin, from the State Key Laboratory of Advanced Technology for Materials Synthesis and Processing at the Wuhan University of Technology. Experts are warning that as China continues to increase their nuclear arms race pace, the threat of conflict rises substantially. 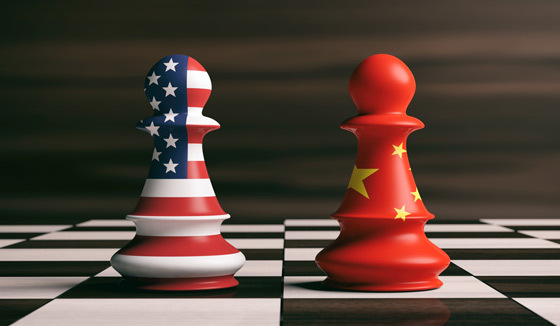 As China joins the US and Russia in pursuing more targeted nuclear weapons as a deterrent against potential threats, the looming arms race would, in fact, serve the opposite purpose by increasing the risk of a nuclear conflict. Pentagon officials have said the US wants its enemies to believe it might actually use its new-generation weapons, such as smaller, smarter tactical warheads designed to limit damages by destroying only specific targets. But with these relatively safer and less destructive weapons in hand, governments may end up losing the inhibition to use them. “The use of small warheads will lead to the use of bigger ones,” Beijing-based naval expert Li Jie told the Post. “If other countries use nuclear weapons on us, we have to retaliate. This is probably why there is research to develop new weapons,” Li said. Basically, even though China says they don’t intend to ever use these weapons of mass destruction, it is still highly necessary that they develop them anyway.